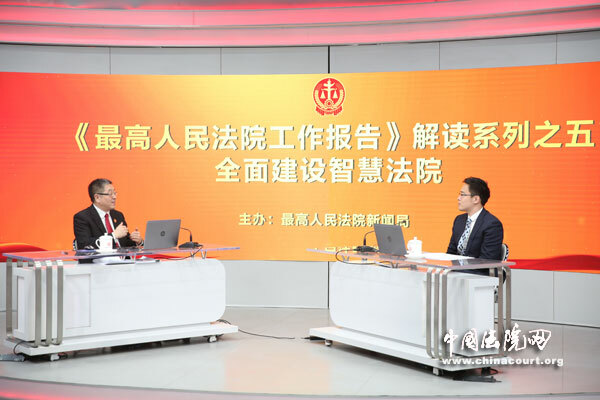 Xu Jianfeng, director of the SPC's Information Office, gave a briefing on courts' efforts to comprehensive smart courts construction during an interview. Xu said that smart courts were basically established in 2017 and in 2018, improving their functions was still necessary to promote the work of courts at all levels in China. 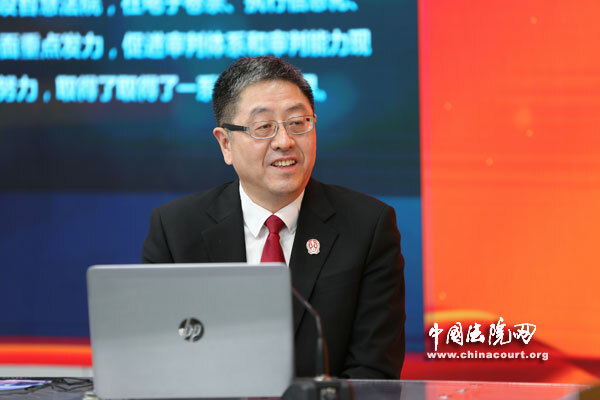 According to Xu, courts have gained achievements in several aspects including online litigation and enforcement informatization and e-records, which has promoted modernization of the judicial system and trial capacity. Informatization played a key role in resolving the problem of difficult enforcement, Xu said. In fact, resolving difficult enforcement relies a great deal on information systems. The staff at the information offices took steps to improve and maintain the system to support enforcement needs in 2018, he added. Meanwhile, informatization is also an effective method of improving judicial openness and fairness, as well as serving the people. For instance, the four platforms -- China Judicial Process Information Online, China Court Trial Online, China Judgments Online and China Enforcement Information Online -- are all built on the basis of informatization development. "More intelligent applications were also launched and promoted nationwide, which proved effective," Xu added. In addition, informatization reduced travel time through use of the internet. "In 2018, about 2.84 billion travels for judicial and enforcement proceedings were saved," Xu explained. Online litigation helps parties file cases through the internet, which saves time and simplifies proceedings. Payment and proof submission and exchange can also be done online. Trial procedures are also open to all parties, which improves judicial credibility and avoids unjustified operations. Online trials also allow hearings to open on time when the parties are in other places in China or even in other countries. To date, high-level techniques such as big data, cloud computing and artificial intelligence have been used in judicial systems and other intelligent systems have also been developed by courts at various levels in China. For example, a system has been used to forward notifications of similar cases to courts and an electronic system which automatically produces transcripts of proceedings has saved judicial staff a great deal of time. In 2019, courts will continue to comprehensively promote system construction for intelligent trials, enforcement, services and management, advancing an all-round intelligentization of the judicial system.